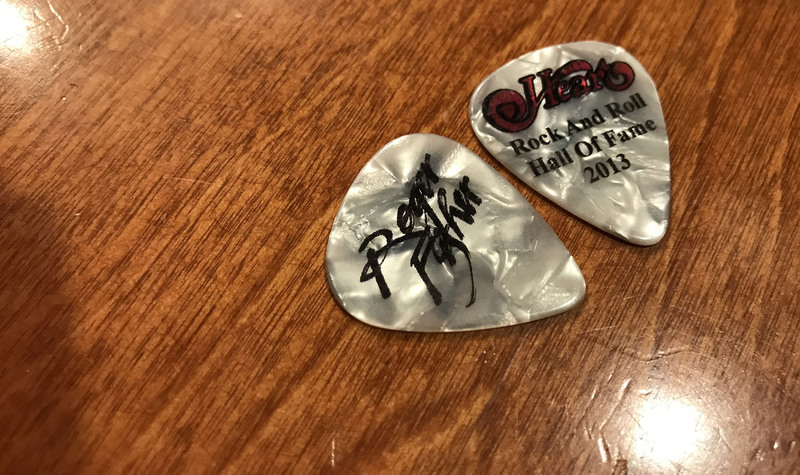 Roger Fisher, the dynamic, energetic lead guitarist of the Rock and Roll Hall of Fame band, Heart, is responsible for some of the most memorable sounds and guitar riffs in rock history. Subject: Interview With Ann Wilson — What about Roger Fisher? Back in November, I received an e-mail via my website with the provocative subject line: “Interview With Ann Wilson — What about Roger Fisher?” It turned out to be a lovely note from Roger Fisher’s daughter, Michaela, who found my interview with Ann Wilson and was interested in using my photo of Roger for a social media post on RogerFisher.com. She also asked if I was interested in interviewing Roger and his brother Michael, the Magic Man. Soon I was trading e-mails with Roger and eventually had a phone call with him where I requested an on-camera interview. 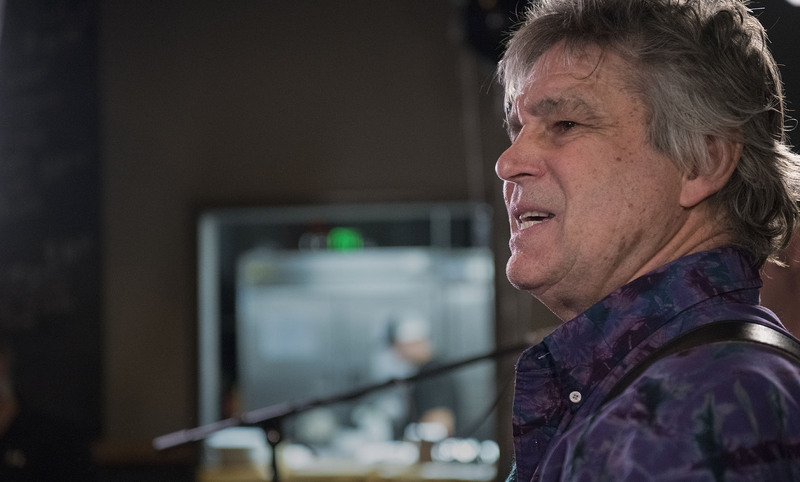 Roger was very enthusiastic because he and his brother were putting the finishing touches on a brand new album, “Heart of the Blues,” and would love the opportunity to talk about it. So, after the holidays, I packed up my gear and headed out to Redmond, WA. 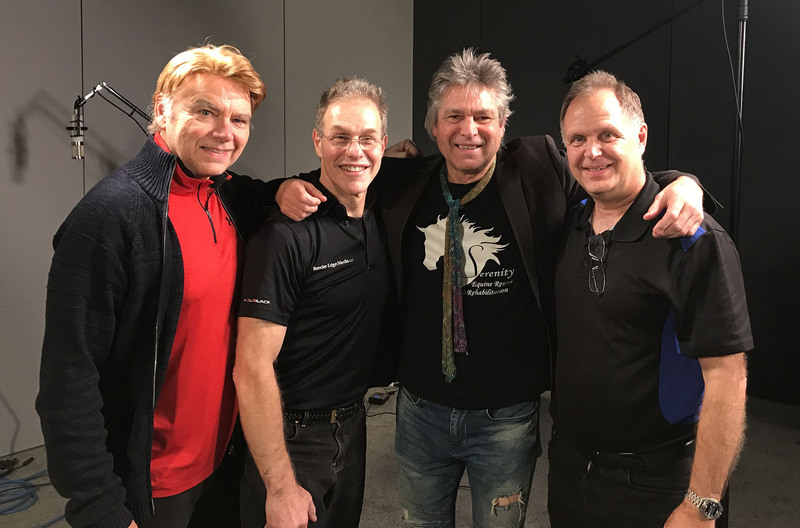 I had arranged for an hour in the studio with the Fisher brothers to talk about the new album, and then another session at “Linda’s Lair” to talk about Heart and a host of other topics, but things blossomed way bigger than I ever imagined. 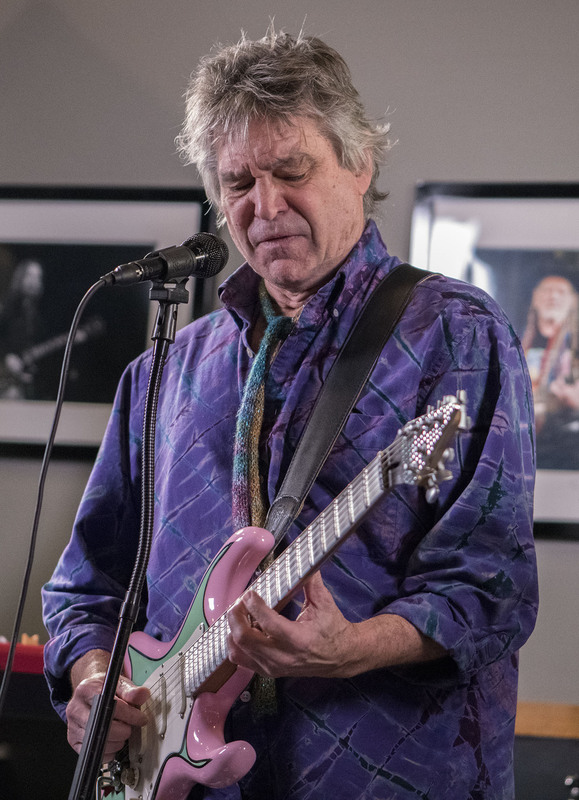 Roger Fisher of Heart playing his custom Fender Stratocaster, the Pink Lady. 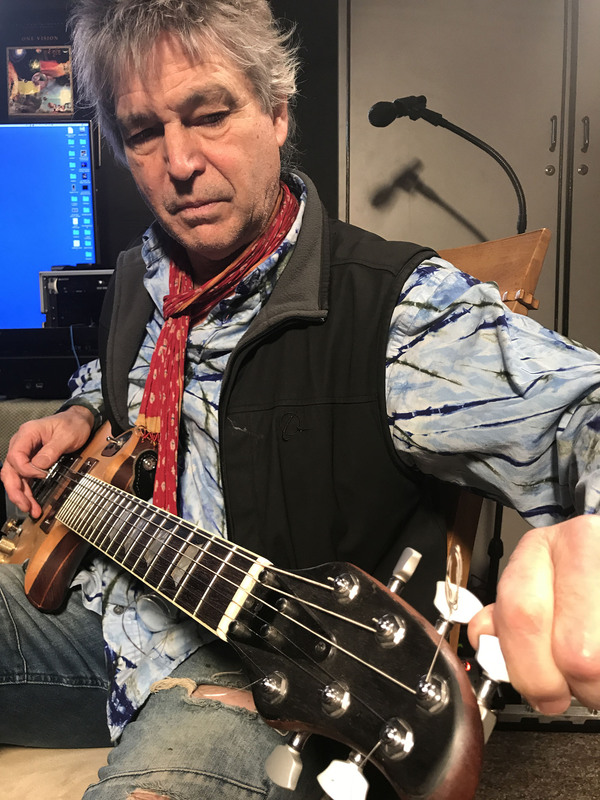 Roger Fisher of Heart tuning up his custom Gibson Les Paul he used to record Heart's classic "Magic Man." First, Roger invited me to film a private concert he was having to celebrate Michael’s 70th birthday party. This was awesome. 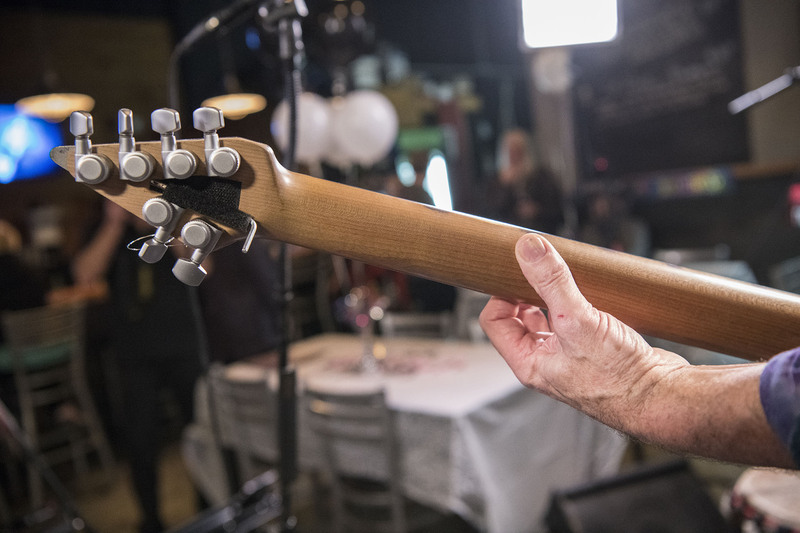 I was working with Roger to figure out how to get some B-Roll of him playing the guitar, and this exceeded all possible expectations. Then came the interviews. The Fisher brothers couldn’t have been nicer. Instead of an hour, I would up spending the entire day with them in the studio. We listened to several tracks from the new album, talked about how Roger wrote them, his motivations and inspirations, then spent the balance of the day with both Roger and Michael in a classic interview setup. The next day we wound up hanging out in Roger’s home studio for most of the day. When all was said and done, I recorded five and a half hours of interviews. My goal was to “have a conversation” with the Fisher brothers, and produce a video that makes the viewer feel like they were eavesdropping in on us. Roger and Michael quickly eased into the format. They were a class act. Patient (particularly during setup). Engaged. And they never held back. We also talked extensively about their desire for a Heart reunion with all the original band members. They thought it was a great opportunity to raise a tremendous amount of money for charity, and how satisfying it would be for the fans. Michael said, whenever Roger plays a concert, they end with a question and answer session where, inevitably, they are asked about a Heart reunion. The fans want to see the original lineup, and the Fisher brothers would love to make that happen. It’s taken a while to wind my way through the footage. My original intent was to put together a 15 minute piece, but I have way more material than could possibly be stuffed into such a short duration. So I’ve decided to produce a series of videos, each one on a different topic, to publish over a series of weeks. Roger was sharp, very articulate, and full of wit. With Michael, you could tell he was the steady hand behind the group. He was thoughtful, provocative and very enthusiastic about a wide range of topics, including his love of producing music and managing the sound. 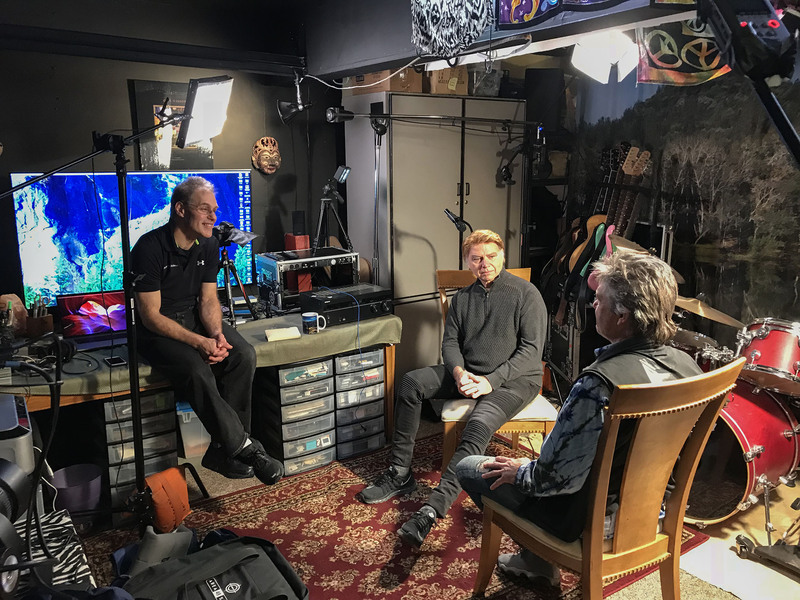 Behind the scenes with Elliot Gould interviewing Roger Fisher of Heart and his brother Michael Fisher at Linda's Lair. 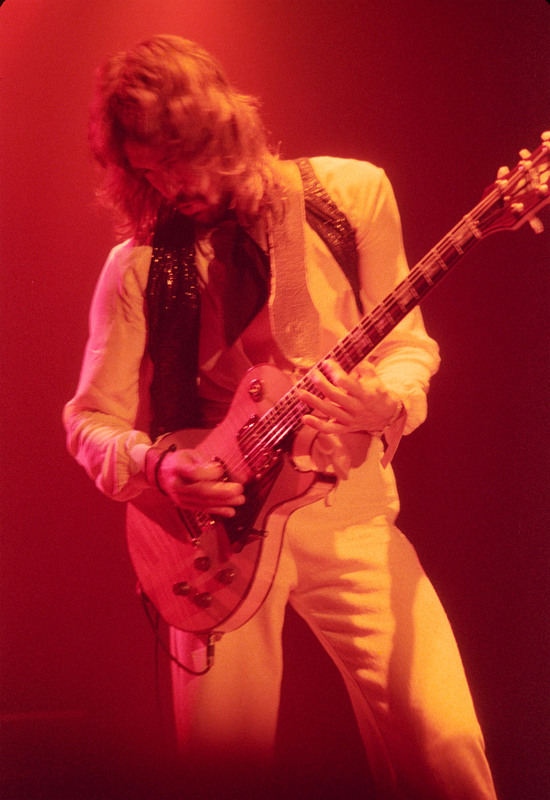 Roger Fisher of Heart at the Rochester War Memorial, Rochester, NY, October 24th, 1978. 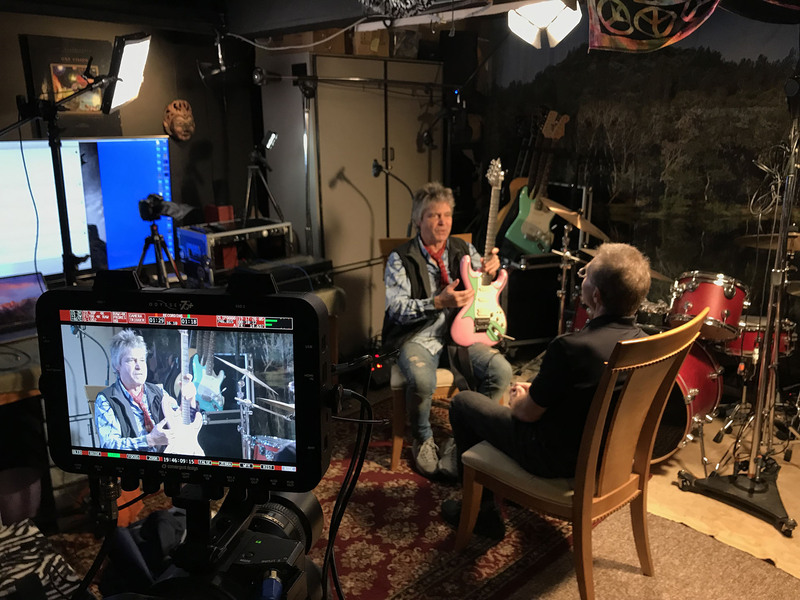 The first set of episodes are from Roger’s home studio talking about how some of the classic Heart songs were written and played. 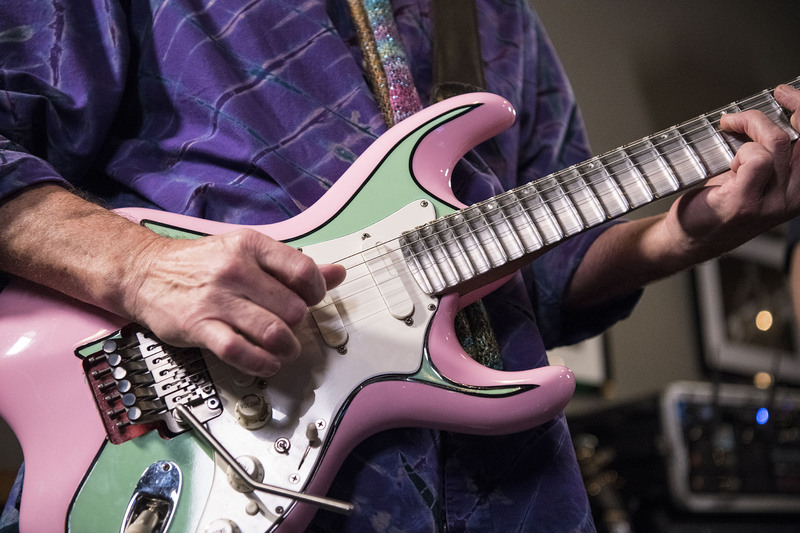 There are vignettes about “Magic Man,” “Barracuda,” and “Crazy on You.” There’s also an extended session about the custom guitars he has designed and created throughout his career, including his double-neck SG and his latest, a titanium Fender Stratocaster he calls the Pink Lady. The first episode is Roger talking about his contribution to the writing of Crazy On You. He gets into how someone is awarded writing credit on a song, and how he has Howard Leese to thank for being included as co-writer of Crazy On You. Coming up will be the stories and motivations behind many of the tracks on the new album, Heart of the Blues, insights into the Rock and Roll Hall of Fame induction concert, the early days of Heart and how the legal entanglements with their first label forced compromises with producing Little Queen. I want to thank Carl Moore, by second camera and all-around grip for the three days. I couldn’t have done it without you. I also want to give a special thank you to Roger and Michael Fisher. They were unbelievably gracious with their time and provided me with incredible access. I was rewarded with an experience that will be tough to match. I hope everyone enjoys the videos that captured our time together. 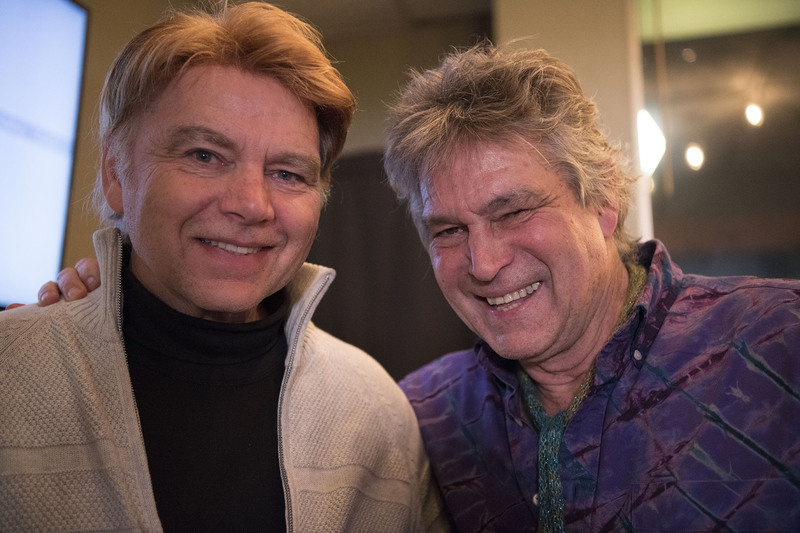 Michael Fisher, the actual "Magic Man," and Roger Fisher of Heart. Oh man…I want more of this interview!!!! There a TON more interview to come. Lot’s fun, interesting stuff from both Roger and Michael. Stay tuned! Very cool. I’d love to see and hear more about his design and guitar builds, as well as his writing and recording process. Looking forward to future segments! All those topics (and more!) are covered in upcoming episodes. Nicely done Elliot! Look forward to the next video! By the way.. what LED panels are you using? Nice look! Thanks for the comments! I actually used several LED panels. This was shot with a BBS Area 48 1×1, a Visual Buddha 1×1, and two Westcott 2×1 panels. Great comprehensive interview of Roger and song writing! Been a fan of Rog’s since the 70s. This is very cool footage and an introspect of what he’s all about!! Looking forward to more! Wow, great stuff! Been a fan of Roger since I heard Magic Man in 1976 and was copping his licks (what I could) after that. I met him last year in Georgia and he is the nicest, very humble person. 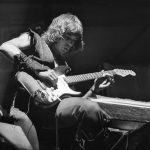 One of the best rock guitar players of all time! So who is the “Magic Man”???? Very modest indeed, but his musical genious has created some of the most unbelievable musical/ guitar riffs in history. Putting it in perspective, the riffs in Magic man, Barraccuda and Crazy on you and to a lesser extent Keep Your Love Alive and Minstrel etc are signature riffs known around the entire world that hallow the same sacred ground as the Stones; Satisfaction, Hendrix’s version of Along the Watch Tower, the Beatles; Day tripper, Derrick and the Domino’s; Layla Boston’s; More than a Feeling and Zep’s Black dog. Rog’s guitar riffs are some of the most popular and memorable guitar peices ever composed and recorded. But seriously, I was in Ukraine and there was a teen with headphones on the train speaking Russian and you could hear Barracuda blasting and he was totally energized rocking out. I wonder Roger fully understands the magnitude his musical contributions have made world wide. As for this myself this fan has never changed the channel on some of those magical tunes.